Krewella has become a dominant force in the EDM scene recently. With heir collaboration with Nicky Romero titled “Legacy” being one of the most popular songs in the scene right now and their highly anticipated CD “Get Wet” on the horizon, this trio is not going to be going away anytime soon. Since the release of thier new album is only 2 months away now, the trio wanted a way to be able to promote it and what better way to this than a tour! That’s right Ladies & Gentlemen starting in September, the “Get Wet” tour is going to be all over the United States and tickets are on sale now! 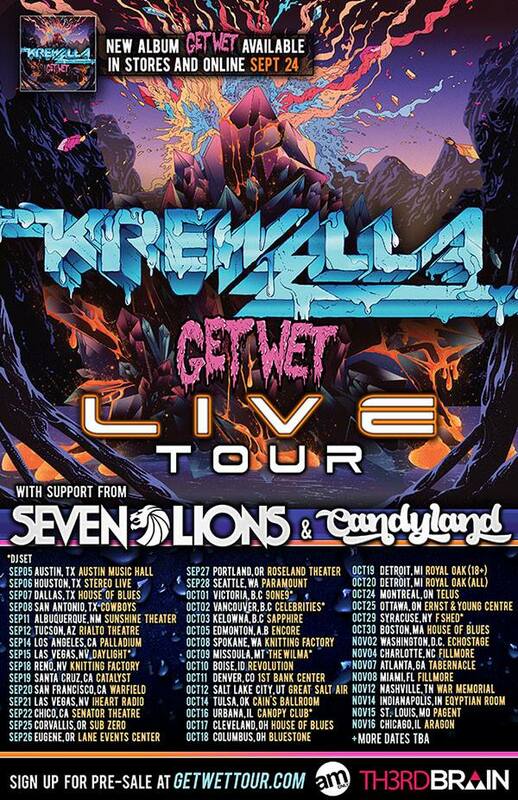 Fans of Seven Lions & Candyland rejoice also because they will be on the tour with Krewella! Stay tuned for a preview of the madness that will unfold. If the tour is coming your way, you can purchase tickets right now HERE! Cheers!